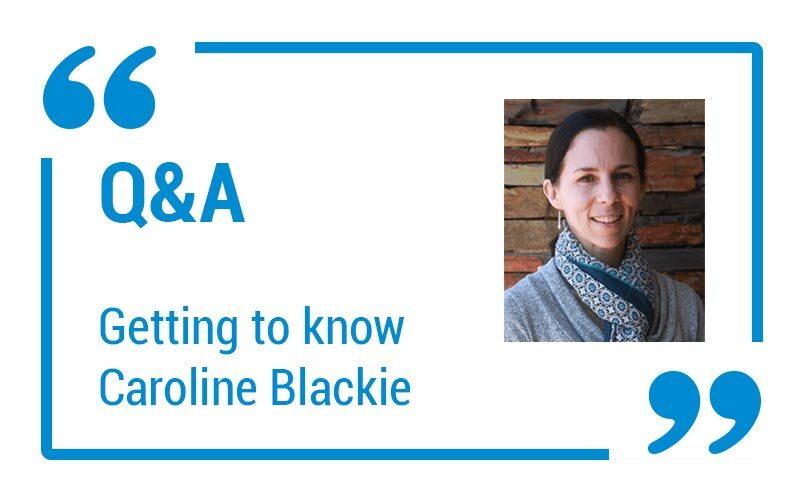 Dr Caroline Blackie is based in Boston, where she is currently involved in fulltime research, working in meibomian gland function and its relationship to dry eye. She also devotes one day a week to clinical practice. 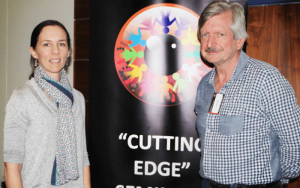 EYESITE.co.za met her at the Africa Dry Eye & Advanced Contact Lens Summit in August 2016, where she lectured on dry eye based on her ongoing research. What sparked your interest in dry eye disease? Like any other an eye doctor, I am confronted by dry eye every day. The ocular surface matters no matter what else you have going on. I became interested in this because of how I spent my final year of optometry school in the US. I worked in glaucoma, retina, cornea and primary care, and the one condition that all specialities struggled with was dry eye. I was also fortunate to work with Joan Exford, Donald Korb and Victor Finnemore who had been working in contact lenses for many years. They were focused on dry eye. Last, I have a personal commitment to research and was looking for an opportunity to pursue research while practicing. Dry eye was a good fit across the board. How big a problem is dry eye disease? Currently, it is a huge problem and going forward it is as big a problem as we are willing to let it be. I’ll explain: The problem with dry eye is that we practise reactive instead of proactive care. We wait for the patient to tell us there is a problem. Imagine your dentist telling you that you don’t need to worry about brushing and flossing until your gums bleed or you develop a cavity. Or your primary care doctor telling you to put on as much weight as you like until you develop high blood pressure or diabetes, or both. We would not agree with this approach because as a society we know that maintaining wellness is immeasurably better than treating advanced disease. Dry eye is the same. If you fail to manage the ocular surface when it is well, you are doomed to practice reactive care and be forced to deal with advanced dry eye, which is hard work. What are the major misconceptions about dry eye (public and eye care practitioners)? From my perspective, the biggest problem is that the treatment is focused on suppressing signs and symptoms rather than addressing the root cause/s. What this means is our treatment is doomed to fail because it only takes a short-term approach. We need a long-term approach to rehabilitate the ocular surface. There is no such thing as a closed dry eye. Fundamentally, dry eye is a problem of exposure. The result is chronic evaporative stress on the ocular surface. If we fail to comprehensively address evaporative stress, we will not arrive at a long-term solution for the patient. Is there a speciality practice potential for DED? There is no question that you could specialize in dry eye disease. Dry eye patients feel like victims of a cruel disease. However, they are not victims. With the right care, they have an opportunity to take back their lives and manage their condition. This takes time and dedication to education and a long term comprehensive therapeutic approach. It is not difficult to teach but it does require a willingness to think differently and to challenge the status quo on dry eye. If so, what skill set is needed and should Optometrists be more involved in the differential diagnosis and management? Dry Eye Disease and Ocular Surface Health are a perfect fit for any optometrist. Any eye doctor can assess the structure and function of the meibomian glands, assess the seal of the lids when closed, the quality of the blink, the integrity of the mucocutaneous junction and capture symptoms. If every eye doctor routinely assessed these things, they would identify 90 percent of the patients with a treatable problem. They can make the decision to treat them in house or to refer but at least they would not be waiting for the patients to tell them there is a problem. We have everything we need to offer proactive care today by just looking more comprehensively at our patients. Where are you going with your research? I am focussed on meibomian gland health. You cannot maintain, optimize or rehabilitate the ocular surface in the absence of healthy meibomian gland function. I believe that we have a tremendous role to play in assessing and optimizing the meibomian gland health of all our patients. We should be offering routine ocular surface hygiene. We have a lot of work to do and can have a lot of fun doing it. Who helps sponsor your research? Currently TearScience sponsors my research. What worthwhile technology is available to aid in the diagnosis and management of the disease? Any technology that allows the eye doctor to evaluate the function and structure of the meibomian glands, along with any tests that facilitate capturing tear quality will be a value. Are there new treatments in the pipeline? Most treatments are still focussed on suppressing inflammation or increasing aqueous output. These can have value in the short term but they do not offer a sustainable long term approach. These short-term treatments can be rendered much more effective when used in combination with a long-term approach. What is key is to control ocular surface exposure and evaporative stress. We can achieve this by optimizing the health of the meibomian glands (find and treat MGD) and eyelid function (blink and lid seal overnight). When our treatments focus more on these areas, we will see a dramatic change in the treatment efficacy of the condition. I am the Director of Medical Affairs for TearScience. 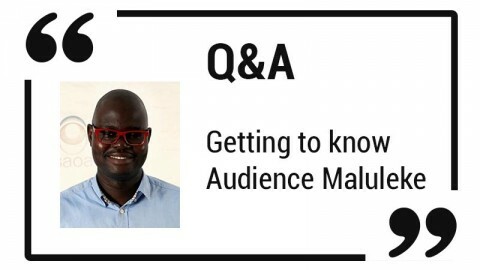 Tell us about your link to South Africa as well as the lectures you have done here through the GIO and previously vis NECO? I was a student at RAU in the early 1990’s. I then did Master’s degree with Professor Bill Harris in 1996 and fell in love with research. I left South Africa to study in the US for three months but that turned into a life altering decision and a relocation to the US. However, even though I live in the US, my affection for my roots will never fade. When Stef Kriel reached out to me through the New England College of Optometry and invited me to participate in some teaching for the graduate program that he had developed, I jumped at the chance to work with him; I always will! !